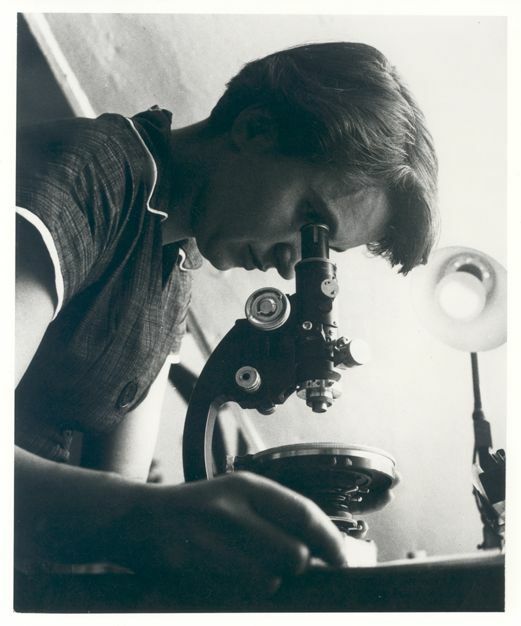 Rosalind Franklin with microscope in 1955. 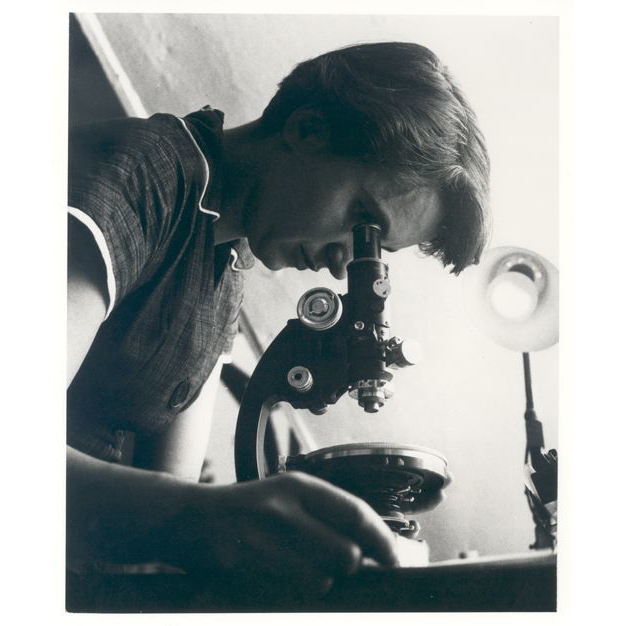 Rosalind Elsie Franklin was a British chemist and X-ray crystallographer who contributed to unravelling the double helix structure of our DNA. She also made enduring contributions to the study of coal, carbon and graphite.